Compost is usually something that you associate with people who are really into nature. Like, really into it. I mean you would have to be since it’s basically turning biodegradable waste into, well, dirt. 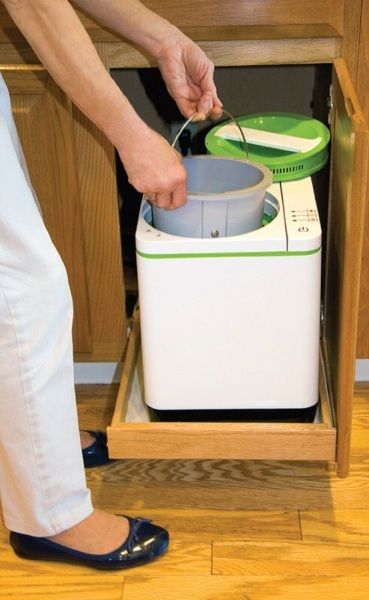 It’s good for the environment and all, but if you’re kind of averst to having a rotting pile of trash in your backyard, why not try the Food Cycler, an indoor composter instead? The Food Cycler turns your food scraps into soil, or more accurately, a ‘nutrient-rich soil amendment’, which is something almost but not quite like compost. This process usually takes months in the outside world, but with this machine your unused lemon peels can be dirt in three hours. Compost can then be used for making your gardening glow with lusciousness. The good thing is the machine and process don’t smell, which is great because anyone who has ever been close to a compost pile knows it can make your eyes water. And that’s not with pride. It’s small and doesn’t need any sort of venting or additives. Many home compost piles need something to get it going and keep it going, but this little machine is all in one. Food goes in, dirt comes out, although the makers do recommend that you mix your output with some generic soil from your garden in order to ensure the right mix of nutrients and a good Ph balance when you’re using it in earnest. 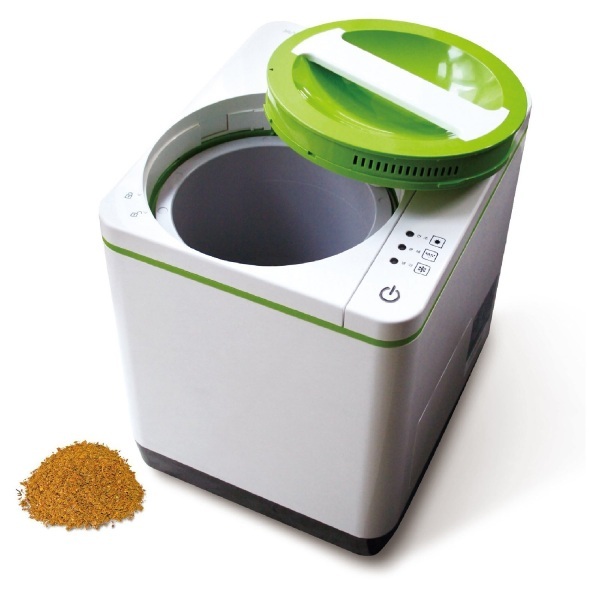 The Food Cycler is $500 but can you really put a price on saving the earth?